Leading art publisher McGaw Graphics has released a new collection of museum posters from artists from the Renaissance through the 20th century. Working with over 20 different museum and foundation partners, McGaw’s Museum collection brings the best in fine art prints and reproductions to everyone. These additional images increase McGaw’s Museum collection to over 1,000 different images from museums around the world. “The museum poster collection has been one of the pillars of McGaw’s business since its inception in 1978. We are proud to represent the artists, museums and foundations that have worked diligently with us to put out this new collection that will expand upon the industry’s leading museum collection,” said George Yedinak, Chief Executive Officer of McGaw Graphics. All images are available in standard sizes and petite formats that are easy to set-up for retail display, and fit into a standard 11x14” frames. Call us for packaging options including bag, board, mat, and labeling. 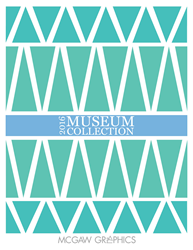 For more information or to order one of our poster catalogs that include the new 2016 Museum Poster supplement, the 2016 Art Catalog or the 2016 Andy Warhol Collection Catalog, please visit http://www.mcgawgraphics.com or call us at 802-362-6230. Since 1978, McGaw Graphics has been one of the leading global art publishing companies, providing high-quality art prints from over 200 artists, and more than 10,000 images. McGaw Graphics offers the most comprehensive museum collection with artists like Monet, Van Gogh, Degas and more modern masters such as Andy Warhol, Keith Haring and Mark Rothko, as well as various contemporary artists. McGaw Graphics posters are printed in the United States and sold worldwide.